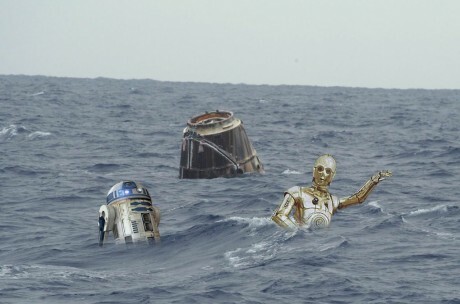 EXCLUSIVE: SpaceX Dragon Splashdown Pic! 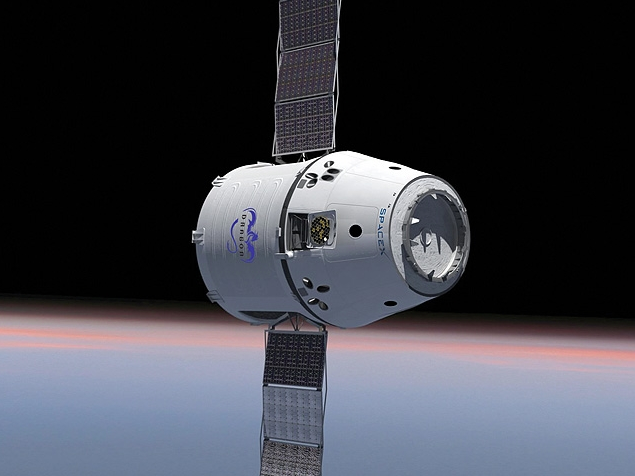 Nothing kicks off a summer of fun like the first commercial space craft hitting the waves. Minutes ago, SpaceX’s Dragon Capsule splashed down in the Pacific Ocean, ending a historic trip from GD space to the International Space Station. Posted in SpaceX | Comments Off on Welcome Home Dragon! SpaceX and Intellisat, the world’s largest provider of satellite services, have issued a press release announcing that Intellisat has signed up to be the first customer for SpaceX’s next generation rocket, the Falcon Heavy. The most powerful rocket in the world (capable of delivering 117,000 pounds to low earth orbit) and the largest since the Saturn V rockets, the Falcon Heavy is expected to take flight next year. The previous attempt at trying to build the world’s most powerful rocket was the Soviet Union’s Energia. On its first mission the rocket failed to get the payload to orbit. The second, carrying the Soviet Space Shuttle variation, the Buran, reached orbit, but actual payload capacity was a third less than the Falcon Heavy’s planned capacity. Consisting of three modified Falcon 9 cores, the Falcon Heavy involves an innovative fuel strategy that’s never been attempted before in this kind of rocket. As the rocket gains altitude, the two outer cores will fuel the main core’s engines, so when separation occurs, the primary stage will be fully fueled and carrying no dead-weight. 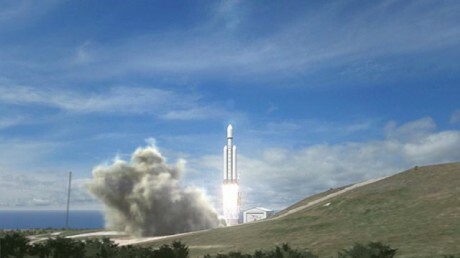 Based upon proven Falcon 9 technology, the Falcon Heavy brings about radically lower launch costs of approximately $1,000 per pound, where previous cost to low earth orbit (LEO) was around $10,000 and as much as $30,000 onboard the Space Shuttle when you factor in the total program cost. SpaceX founder Elon Musk has said a manned lunar mission on the scale of the Apollo would be capable with two launches using the Falcon Heavy. SpaceX has also proposed using a Falcon Heavy and a modified Dragon capsule to perform an unmanned Mars mission called Red Dragon, for about $450 million – oddly enough the budget and marketing cost of the film John Carter (of Mars). While SpaceX is preparing the Falcon Heavy, engineers and scientists at their McGregor, Texas test facility will continue developing the technology for their long range plan of making a full reusable Falcon Heavy rocket by the end of this decade. Accomplishing this could bring launch costs to under $10 per pound. For more on the impact of that, check out our article Space Boom. By the end of this decade we could well be on our way to the largest period of growth in human history. The global economy would dramatically increase and the overall wealth of the planet will skyrocket. The people at the lowest end of the economy will see the largest changes as they go from subsistence living to a modern middle class lifestyle made possible by this leap. This future could be wildly off target, or it could be happening right now on a launchpad outside of McGregor, Texas. The key to this rapid growth is a simple idea. Impractical, some say impossible, it’s considered by some as far fetched as free energy or transmuting lead into gold. 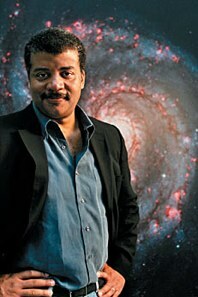 But it’s not an idea that violates any laws of physics; only what we’ve done before. For a generation that’s seen the world wired electronically, watched room sized-computers shrink to devices that fit on your wrist and place face to face video calls around the planet for free, it’s a hurdle like any other, one that will take smarts, perseverance and a willingness to ignore the naysayers and do what hasn’t been done before. It’s a term we’ve heard before. The Space Shuttle was initially touted as ‘reusable’, when in fact only parts of it were. The large tank, the solid rocket boosters, the components responsible for most of the heavy lifting aside from the shuttle’s engines, were either burned up in the atmosphere or dropped into the ocean where salt water could corrode the parts that weren’t damaged on impact. At a $1.5 billion per launch, the shuttle hardly met the economics of reusable. It’s true cost per pound to orbit was $28,000. A truly reusable rocket, like the kind Elon Musk and SpaceX is trying to build, can be used a 1,000 times or more. The main expense is fuel. Giving that a Falcon 9 uses only about $200,000 of fuel per launch (versus the $260,000 it costs to send a 737 around the world), expensing that capital cost over 1,000 launches ($60 million a rocket), gives you a capital expenditure of just $60,000 per launch. Round that up to $300,000 and your cost to orbit is under $15 per pound. That’s 2,000 times less than the cost on the shuttle. In the economics of space travel, $1,000 per pound to low earth orbit was long considered the magic number where incredible economic opportunities become possible. If Elon Musk has his way and makes his even larger rocket, the Falcon Heavy, reusable, we’ll be looking at $10 per pound – less than it costs to send something cross country via FedEx. It’s crazy. It’s insane. It’s foolish talk. 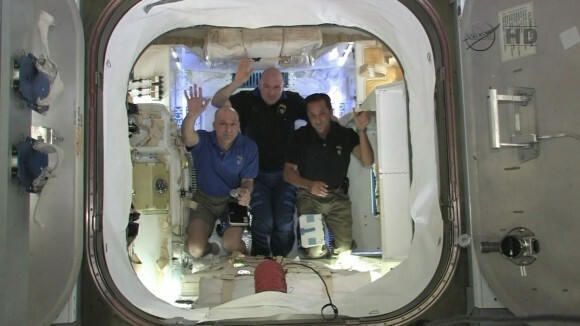 And yet the world just watched astronauts on the International Space Station set foot aboard a spaceship (the first private spacecraft ever) built by people everyone was calling crazy, insane and foolish. Now they want to build bigger rockets and think it’s possible to bring internet-like growth to the cost of going into space. I think they’ve proved they’re serious and capable. If anyone can make it happen, it’s SpaceX. So we can put people and satellites in space at a fraction of the cost before…what’s the big deal? What does the mean for us earthbound mortals? Everything. Forget about space tourism, that’s low hanging fruit. In the scheme of industries, it’s only a step above renting out cabanas to cruise ship passengers. The biggest sectors of our economy aside from services and manufacturing are energy, communications and materials. 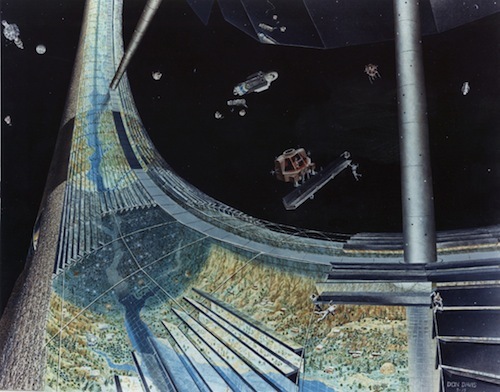 Opening up the frontier of space will change all of those radically. Want more bandwidth? Want to make a clear phone call that doesn’t drop? Want to watch 4k movies on your iPhone while you’re hiking in the outback? Better yet, want the citizens of Syria and Iran to have free access to communications their governments can’t block? Build more satellites. Lots of them. At $10 per pound, we’ll be able to blanket the planet in always-on high-speed internet access. Telecommunications companies will have to compete with underfunded rivals. Two girls in a garage could re-invent communications. High school kids can build a communications satellite today. Unfortunately you can’t get it into space on a paper route budget (firstly, because newspapers are extinct). At a cost rivalling FedEx rates, this becomes a reality. As bandwidth grows, so will our demand for more of it. Most of the planet is still waiting for smartphones with mere Edge-like speeds. The first-world will find all sorts of ways to push the bandwidth limits and keep the communications industry a high-profit business. We won’t be afraid to turn our phones on when we travel to other countries and will find ways to justify more bandwidth. If the dreamers at Planetary Resources have it right and some of those near earth asteroids are filled with rare metals, we could be facing an unheard of age of abundance. While finding gold in large quantities would seem like the goal, the real purpose of this mineral exploration is to find the kind of metals that have a far greater practical value than serving as bling. The platinum group metals Planetary Resources think may abound on asteroids are some of the most import and rare kinds of materials we use in building everything from fuel cells to solar panels. Chief among them: Platinum. Platinum costs about $1,500 per ounce. It’s the most expensive part of a fuel cell. The reason electric cars are so expensive? The battery. An abundance of platinum group metals could reduce the cost to a few cents on the dollar. Cheap platinum would radically change the way we consume energy. Instead of getting your power off the grid, you’d plug into a fuel cell in your garage that you recycled every few months or so. For the part of the world that doesn’t have much of a grid, this is a life-changing possibility. Simple things like cheap air-conditioning could save millions of lives a year from malaria. Forget covering Arizona with solar cells. Let’s build an armada of them in space. A solar collector in earth orbit has sunlight 24 hours a day, never has to worry about clouds and runs at 144% efficiency compared to being on earth. This would be the cleanest form of energy on or off our world. At $10 per pound to orbit, it’s actually cheaper than what it costs to build on earth when you factor in all the ancillary costs from land leases, environmental impact and legal hurdles. Getting that power back down to earth without creating a space beam weapon that could incinerate cities will be a challenge, but one we’ve already taken steps towards solving. 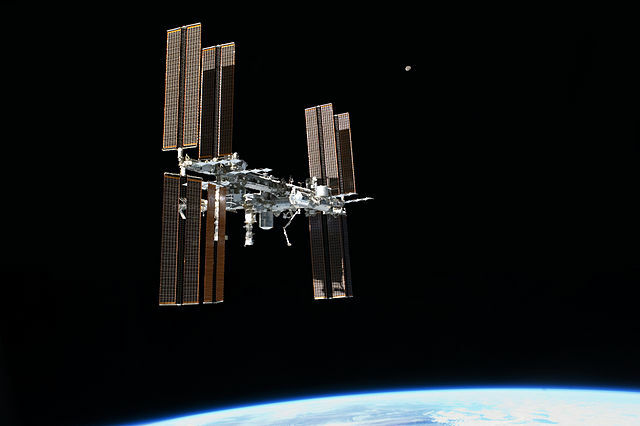 It could be decades before we’re getting practical amounts of power from space. Yet it takes decades now to build a nuclear power plant or erect a wind turbine. Abundant solar power in space also means we can use it in orbit for things like cracking water (from asteroids) into hydrogen and oxygen. Going even more out there, lots of abundant energy could one day lead to a practical means for producing antimatter – the most efficient means of containing energy and the kind of power that could take you to the other planets in days, not months and years. As manufacturing moves more to rapid prototyping-style machines and becomes more of a commodity with falling prices, outside the service industry; communications, raw materials and energy are the largest parts of the global economy (agriculture is less than 4%). To launch and service all those satellites, solar stations and asteroid mining ships, we’ll need a whole new industry. While robotics will do a lot of that work, you still need humans doing quality control and the jobs we don’t have machines for just yet. We’ll see new companies based on doing things like providing logistics support to all these different industries, building replacement parts in orbit, training spaceworkers and a thousand other things that go with a boom. Cheap access to space also means huge space stations, space yachts, space mansions and a whole lot of things you can do in space we never imagined on earth. Earth orbit is just the start, but even before we set foot on Mars, there’s an entire space industry waiting to happen that goes way beyond novelty vacations for the mega-rich. We’ll thrive as an interplanetary species when exploiting the resources of space is a practical way of surviving. The only practical limit is the number of people we can train in high-tech jobs to make this possible. To solve this problem, smart people need to be having more kids and we need to find ways to help the rest of the planet get access to better educational resources. The exciting part is that we could know within just a few years, maybe before even before we see book five of Game of Thrones on television (or the third film in the new Spider-Man series shows on screens) if this is possible. 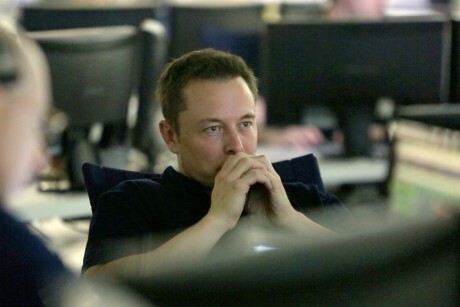 As we speak, a group of SpaceX engineers are in Texas test firing rockets, examining landing systems and checking off days on their calendar, bringing us closer to finding out if this is a pipe dream that’s still decades away, or something that will become a reality very soon. 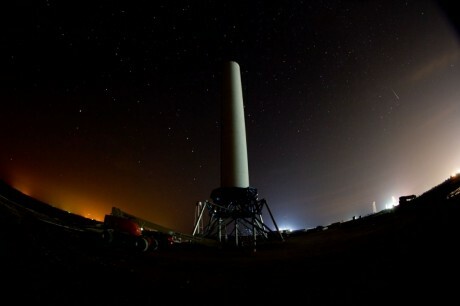 This final photo is their reusable test rocket on the launch pad at their test facility in Texas. See that little line to the right? That’s the SpaceX Dragon and the ISS in orbit overhead. It’s one thing to dream about the stars, it’s another to go to work and look up and see where you’ve been and know where you’re going next. This morning the world woke up to find out what the rest of us stayed up and watched happen: SpaceX launched their second spacecraft into orbit on a first of its kind mission to the International Space Station. The next few days involve more technical challenges. In a procedure akin to shooting a missile going 22,000 MPH into a trajectory with the ISS; SpaceX will try to pull off a rare feat capable of only a couple nations. Meanwhile, what’s next for SpaceX? Things are only getting started. 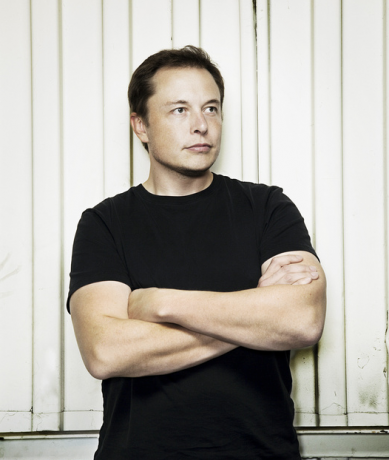 Elon Musk has proposed an incredibly ambitious program for his company which is barely ten years old. While SpaceX continues cargo flights to the ISS and launching satellites, next up is the testing and launch of the Falcon Heavy. SpaceX isn’t content with just building a replacement system for getting into space, they want to push the envelope even further. Falcon Heavy is a rocket with 27 Merlin rocket engines (versus the Falcon 9’s nine). Slated to start testing later this year, Falcon 9 will be the most powerful rocket since the Saturn V’s that took us to the moon. 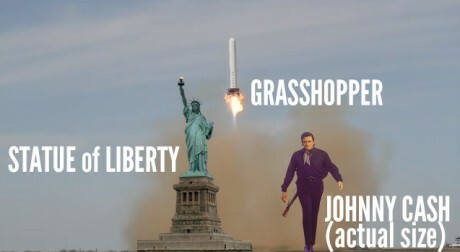 The most powerful rocket in the world. It’s the kind of rocket you’d use to send people to Mars. Let me repeat, THEY PLAN ON TESTING IT THIS YEAR. Even if it takes another year or two to get this up, anybody wants to to see what a mission to Mars will look like can take a trip like Justin Young and I did last night and watch SpaceX light the candle. This time on 27 Merlins instead of nine. Check out an animation of this bad boy. SpaceX is building a Mars capable spaceship today. The bird flying over our heads right now is a proof of concept of a lot of the technologies that will go into making that happen. The most important system is safety. To make the Dragon spacecraft the safest crewed space vehicle in the world, they need to build an escape system – something the Space Shuttle never had. The Dragon will have built-in thrusters that will allow the spaceship to separate from the second and third stage in an emergency and land via parachute or rocket power. This rocket-powered launch would even allow the Dragon to land from orbit back on the launch pad without a parachute. Instead of trying to pull your rockets out of the sea and rebuild them, why not have them land back on the launch pad. While companies like Blue Origin are trying to build a single-stage to orbit system, SpaceX is developing a far more fuel efficient system that would allow each stage to land by itself. 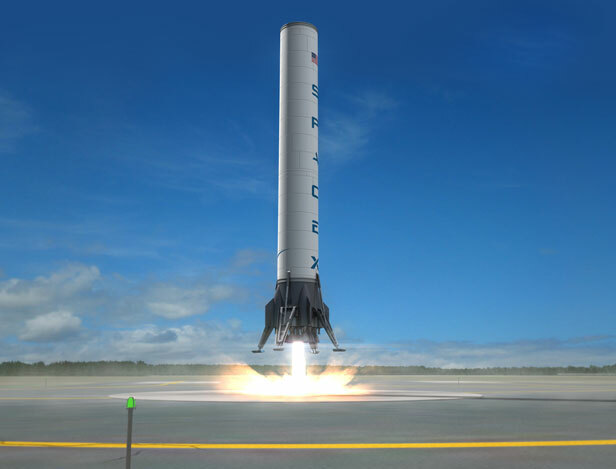 A fully reusable rocket would take off and separate into two stages and a spacecraft. Each one would then use rocket thrusters to land back on the launch pad where they’d be inspected and refueled. This is the space age version of passenger jets. SpaceX is working on this right now. Not ‘someday’, not in ‘the future’. Engineers are trying to solve these problems as we speak. The systems that go into making the Dragon crew-capable lead into the systems that will allow you to let your primary stage land back on the platform. The cost savings are incredible. The Shuttle cost from $10-20,000 per pound. Falcon 9 costs about $2,300. A reusable craft takes this below $100. From $10,000 per pound to $100 in a decade. It could even go lower. Cheaper than a space elevator. Now that’s crazy talk. You can see SpaceX’s vision for this in the animation. You can go outside and look up at the first step towards this right now. Justin Robert Young and Andrew Mayne at the SpaceX launch of the Dragon spacecraft to the International Space Station. It was EPIC and AWESOME. 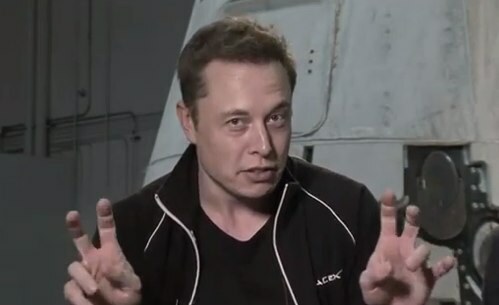 You are currently browsing the archives for the SpaceX category.